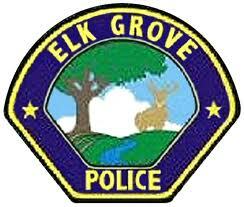 In a statement released this evening, the Elk Grove Police Department is characterizing an officer-involved shooting that left a man dead was a case of so-called suicide by police. The shooting happened at the Extended Stay hotel on the city's west side on Saturday, April 28 at 2:30 a.m. when police officers responded to a call regarding gunshots. Responding officers encountered the male suspect later identified as Nolberto Leon, 26, of Sacramento in a hotel hallway. The officers saw that Leon was bleeding from his torso and displaying a handgun while they negotiated with him for about 20 minutes. During that time, Leon fired five shots from a handgun in the hallway. After approximately 20 of trying to get Leon to put down the gun and allow officers to provide him emergency medical treatment, Leon raised the handgun in the direction of the officers. The unnamed patrol sergeant, with 22-years of law enforcement experience, fearing for his safety, as well as other officers and hotel guest, fired two shots from a service weapon and striking Leon. Emergency medical personnel were brought to the scene where he was declared dead. Police believe Leon intentionally shot himself in the torso prior to the officers' arrival. Based on statements and evidence gathered during their investigation, detectives believe Leon began making suicidal threats and then intentionally shot himself once in the stomach prior to officers arriving on scene and contacting him. The practice has been dubbed suicide by police. The investigation into this shooting will be conducted by the Elk Grove Police Department’s Investigation Bureau, which is standard practice for any officer-involved shooting. There are also two other independent investigations into the shooting, one by the Elk Grove Police Department’s Professional Standards Bureau as well as one by the Sacramento County District Attorney’s Office. The officer, in accordance with department policy, is on paid administrative leave.